A few years ago I resolved to buckle down and really spend some time learning how to cook. My plan was to experiment, and practice my way through a well-rounded list of food types. I did practice quite a lot, though somewhere along the way I dropped the ball on photographing my experiments and checking things off my list. This past weekend, inspired by our recent Ireland and Scotland travels, I attempted baking scones from scratch and they turned out great! I was a little intimidated to use my food processor for only the second time ever, but I watched a few videos on youtube and it turns out that the food processor isn’t too difficult to use. 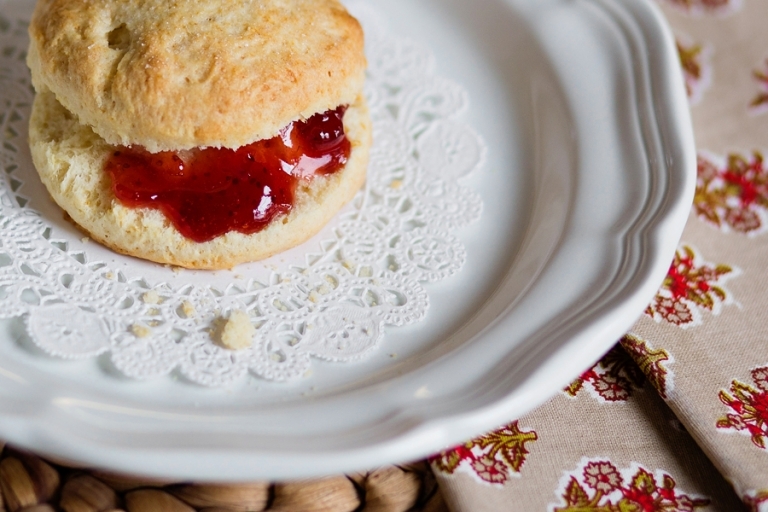 The scones looked pretty photogenic, so I got the camera out for a little scone photo shoot. I’m officially checking that one off the list! Oh, and if you want to make these too, I used a New York Times recipe.